We have a real special treat for you today as we have Kim Forrest, editor of WeddingWire, to share what trends are on point for 2014. Kim has been writing about weddings for nearly a decade and previously was an editor at Brides.com, Brides' Local Magazines, and Washingtonian Bride & Groom. She has been quoted as an industry expert in The New York Times, Washington Post, Slate and more. So I'd say she's pretty legit when it comes to talking about national trends that we can bring into the 757 this year! In the wedding industry, the weeks between Thanksgiving and Valentine’s Day are called “engagement season,” when a whole new group of couples start their wedding planning journey. If you’re among these newly engaged folks, congratulations - and you’re in luck! You’re planning your nuptials in a very exciting year, one that has the potential to be truly transformative in the weddings world. While I think we’ll still see the casual, rustic-style weddings that have been so popular over the past few years, I think we’ll also start to see a return to more formal and glamorous weddings, too. Here are some of my top predictions for this year. Art Deco Glam: We’re already starting to see more weddings with a 1920s-inspired formal feel, perhaps inspired by The Great Gatsby film of last year and the ever-popular Downton Abbey. Over the past few years, the word on everyone’s lips was “vintage,” which can mean a bunch of different things. Now it seems that when a couple says they want their wedding to feel “vintage,” they’re talking about a 1920s vibe. 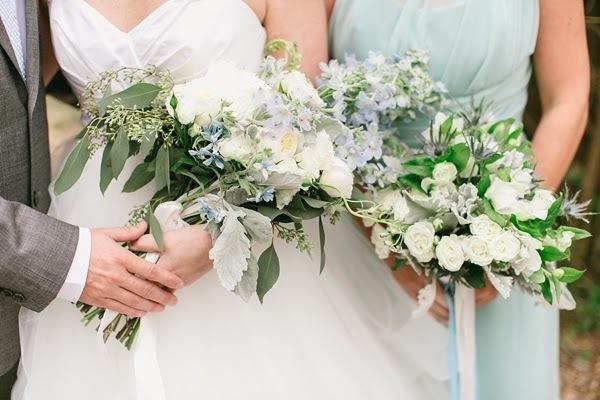 Lush Floral Arrangements: Rustic weddings usually feature small clusters of blooms with a loose, wildflower feel, but this year, I think we’ll see lots of really lush floral arrangements with a bit more structure. I do feel like I’m seeing both ends of the spectrum in terms of color – either pale pastel hued blooms or a bold mix of colors. Whatever fits your personality! Metallic Colors: No, this isn’t in honor of the Olympics, but gold and silver are the hot colors for this year. They’re beautiful either as accents or as the main hues of a wedding color palette – again, adding that real sense of glamour I think we’re moving toward. We saw so many gorgeous metallic gowns at bridal market last fall, and we can’t wait to see brides actually wearing ‘em! 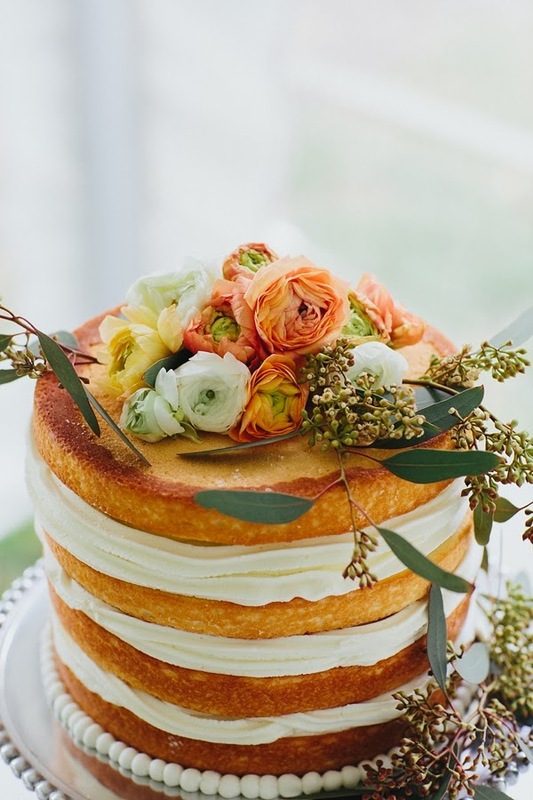 Naked Cakes and Other Sweets: This is something I really hadn’t seen until recently – unfrosted wedding cakes! These are more for those more informal, rustic celebrations, but they sure look cool. And in the world of wedding sweets, I’m obsessed with macarons. They’re such a luxurious and decadent treat, and it goes without saying, but they’re also so gorgeous and colorful – like edible jewels. Wedding Dress Style: The three hottest trends that we saw at bridal market were – metallic dresses (as mentioned), halter necklines, and bridal pantsuits. Halter necklines are fabulous to show off an amazing pair of shoulders. And the bridal pantsuits are a fun alternative, whether as a reception look or for the whole day! Other Fun Statistical Facts: Engaged couples are, on average, about 29 years old and spend about $29,428 on their weddings, according to WeddingWire's 2013 Survey of Couples. Curious about more details? Head over to the full survey details. Looking for more? You can see inspiration from WeddingWire on Facebook and on Pinterest.